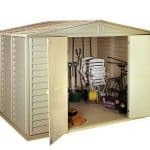 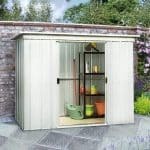 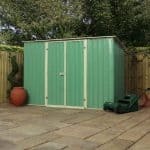 This 3.5 x 4.9 metal shed is a useful building and it is also a building that can store plenty of tools and equipment. 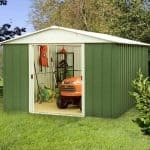 It has a 10-year manufacturer warranty against rust, which reduces the care that you need to apply to the building and also keeps those contents safe and dry. 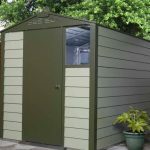 A single hinge door makes for easy access, and a pent roof brings you easy rain run off too. 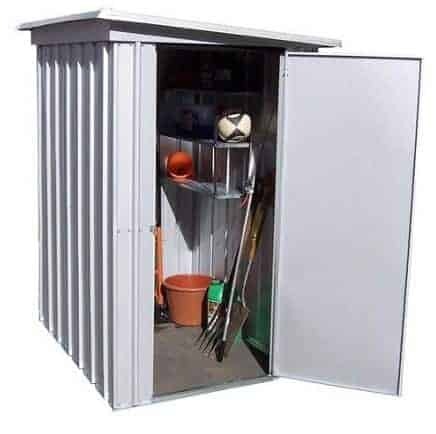 The building is zinc plated, making it one of the most durable metal pent sheds available today. This is a great addition to any garden, and perfect for storing your garden tools.